Mumbai: Competition can’t be any fiercier than this. Within minutes, BSE changed its plan and said it would also do the same. All these happened on Wednesday evening after the close of market hours. This means that from Friday, both the exchanges will start trading at 9am, the earliest permitted by capital market regulator Securities and Exchange Board of India (Sebi). Currently, both exchanges open for trading at 9.55am and end at 3.30pm. Sebi has allowed the exchanges to extend trading time by almost two-and-a-half hours, permitting them to operate between 9am and 5pm. However, neither of them is talking—as yet—of extending trading in the afternoon. The regulator made the announcement in October. 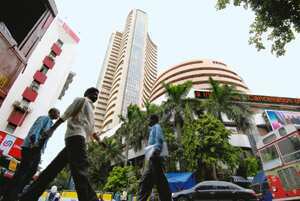 BSE moved first, saying on Tuesday that it would open for trading at 9.45am. The key reason behind reluctance to extend trading hours so far has been resistance from brokers. The Association of National Exchanges Members of India (ANMI) and the BSE Brokers’ Forum conducted separate surveys, in which most brokers opposed the extension of timings by citing payment and settlement glitches, increased margin requirements and additional staff costs. There was a near-consensus among market participants that extending trading hours would impose an unnecessary burden on the system, with no benefit to speak of. Brokers, day traders, mutual funds and foreign investors reacted adversely to the move, which they say will put back-office operations under stress and lengthen the working day to intolerable levels. “If one exchange changes time, the other has to follow suit," said ANMI president E.M.C. Palaniappan. “NSE called us for meeting today (Wednesday) after BSE advanced trade timings to 9.45 am. We suggested that NSE should match BSE’s timings. At one go, NSE decided to start at 9 am as multiple incremental changes would lead to systemic risks." According to Palaniappan, small brokers may have a tough time adjusting to a 9am start. “But there’s no choice. We should be happy that the evening part hasn’t been extended. That could have created larger problems as banking infrastructure is not ready." Motilal Oswal, chairman, Motilal Oswal Financial Services Ltd, said: “We should look at these moves from the customers’ point of view and not in terms of hardship to the broker. This will help investors react to news faster and trade more. I think they will test the morning period first and depending on the experience, extend it in the evening too." A BSE official said its move on Tuesday had won the exchange crucial brownie points in the media. “We got a platform to put the exchange in limelight. We could explain what we were trying to do in terms of mid-month futures, which we are launching on December 18. Otherwise, no one bothers about what we do," said the official on the condition of anonymity. BSE’s share in the cash market is about 24%, but insignificant in derivatives trade. After losing out to NSE on the equity derivatives segment, where it has near-zero volumes, BSE has in the past six months taken a series of steps to revive itself under new chief executive officer Madhu Kannan, who has brought on board senior officials such as former NSE executive Ashish Chauhan and market veterans James Shapiro and Sayee Srinivasan to rework its derivatives strategy and get the exchange ready for listing. Apart from revamping its top team, the exchange has picked up a 15% stake in United Stock Exchange Ltd and bought a front end vendor Marketplace Technologies Pvt. Ltd. Marketplace Technologies had the licence for data feeds from NSE before the acquisition and can cater to its customers trading on both BSE and NSE.